If you have questions about bone and joint pain, and in need of having osteoarthritis explained in understandable terms, this is the site for you. Throughout these pages, our primary mission is to educate you and answer questions about all tings relating to bones, joints, muscles,literally all things orthopedics. My name is Ken Chisholm, co-founder and host of Bone-And-Joint-Pain.com. I have been a Registered Nurse and have over 37 years in the health care industry, specifically in orthopedics,surgery and Nursing. 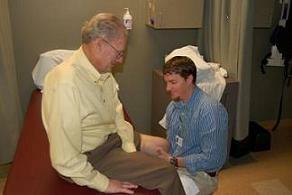 I spent over 20 years as a Board Certified Orthopedic Physician Assistant. Need Help or Answers? Come with us and journey into Bone and Joint Pain.com! Together with my colleague, Ruth O'Keefe M.D. (Orthopedic Surgeon, ret. )we hope to provide you with a quality experience and journey into the world of bones, joints, muscles and their relevant injuries, diseases, symptoms and treatments. Our goal is to have bone and joint pain, and osteoarthritis explained in easy to understand terms, as well as various diseases, conditions, symptoms and treatments. Many people who go to their doctor's office with an orthopedic problem often end up leaving without having their questions about bone and joint pain, and arthritis explained to their satisfaction or understanding. We hope to change that. In today's health care environment, everyone is accountable (or at the very least, should be); providers, hospitals, insurance carriers and...even patients. Providers cannot merely take for granted that patients totally understand what is being told to them, and patients can no longer just assume their provider(s) are adequate to the task, experienced, qualified or even competent, to care for their needs. We, as individuals, must begin taking greater responsibility for our health, as well as our health care. Through knowledge and education, we will be able to accomplish this. As the general population in the U.S. continues to age, especially the "Baby Boomers", conditions such as osteoarthritis of the hip and knee, as well as all manners of bone and joint pain issues, become increasingly prevalent. They occupy one of the top spots in terms of greatest health problems that contribute to billions of dollars spent in the health care industry, loss of income and activity alteration, not just in our country and culture, but globally. Arthritis is this nation's LEADING CAUSE of disability! National statistics show that in 2004, over 240,000 knee joint replacements were performed, and more than 230,000 hips were replaced as well. These figures only continue to rise. By the year 2030, more than 60 million people 18 years and older are expected to be diagnosed with some form of arthritis. From a financial perspective; according to the U.S. Center for Disease Control (CDC) in 1997, $51 BILLION dollars was spent in the U.S. alone on medical care for arthritis. Recent studies have show that a weight loss of as little as 10 pounds can reduce the risk of developing knee arthritis in women by as much as 50%! (Framington Osteoarthritis Study / Arthritis Rheum 1998;41(8):1343-1355). With over 60 years of combined orthopedic experience, we will help you become smarter, more well informed and proactive-minded patients/consumers when it comes to understanding osteoarthritis and dealing with all kinds of bone and joint pain issues. After all, knowledge is power. People are no longer "just patients". They are consumers, clients and savvy information-seekers, and are becoming increasingly better informed. To have osteoarthritis explained in detail, together with a myriad of other conditions, injuries and diseases is not only important, it's crucial. Bone-And-Joint-Pain.com is not just a website, it's a journey into the world of orthopedic medicine, surgery and the things that everyone should know before, during and after being cared for any condition or injury that involves the musculo-skeletal system. 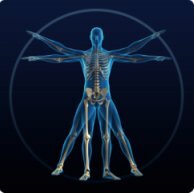 We are the "go-to" resource for all things involving your bones and joints. Throughout this site, there will be many sections discussing, for example, how you can research doctors and hospitals, to find the right ones for your needs. Other sections will discuss items such as health insurance and what is important to know. Still others will discuss conditions, symptoms and treatment options. The goal is to be as informed as possible. Sections dealing with orthopedic related medications, prescription and over-the-counter, that you may need to take, as well as other remedies for arthritis and other joint pain issues, will give you a clearer picture of what information and recommendations you may encounter at the doctor's office, or in the hospital, and what questions you should ask.